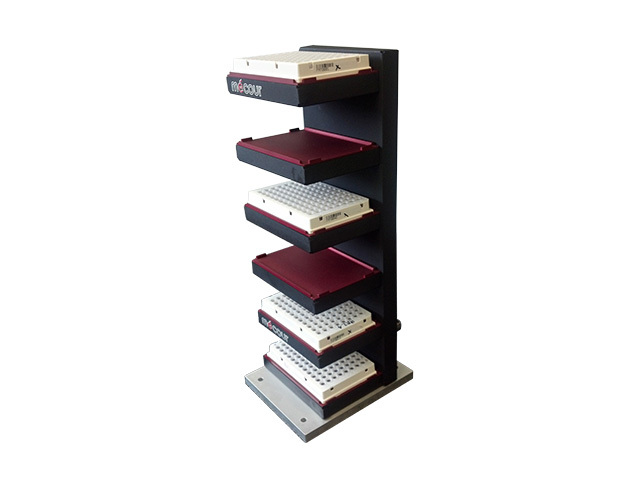 Mécour 6 plate thermal tower that will integrate with such automated platforms as Agilent, Beckman, etc. Plate orientations in either portrait or landscape with plate capacities up to 12 standard plates. 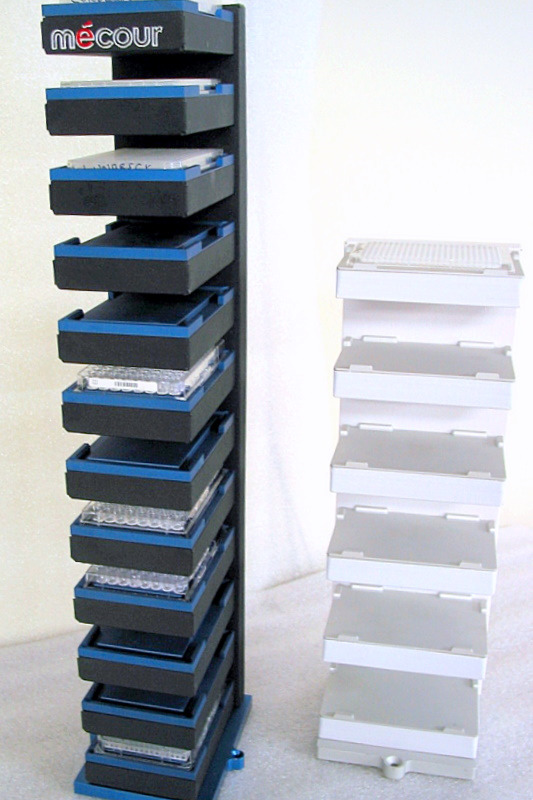 Thermal towers available in portrait or landscape plate orientation and will accommodate either standard or DWP sizes. Gripper access made specific to your grippers requirements.